Dromida Ominus Review: Is it Worth to Buy? If you’re searching for a quadcopter drone, you will likely come across dozens, if not hundreds, of options. One of the options you may come across is the Dromida Ominus. The Ominus from Dromida could be an excellent option for those looking for a durable drone that can withstand hundreds of flight hours. Below, you’ll find our review of the Dromida Ominus, which came about after hours of testing. What is the Dromida Ominus and How Does It Work? The Dromida Ominus is a quadcopter drone that is ideal for people with a wide range of experience flying drones. The machine comes with four flight modes designed for people of all capabilities. No matter if you’re getting started flying drones or have years of experience doing so, Dromida has developed their product so that you’ll have an enjoyable in-flight experience. Also, Dromida designed this product so that it is incredibly durable. As the company describes, the product is “built to bounce back from hard landings and everyday impacts.” This can give beginners peace of mind, as they’ll know that they will not risk ruining their drone if they do not land it correctly. It can also give experts relief, knowing that an accidental bump will not render the device useless. What Makes the Dromida Ominus Unique? One of the most significant features that help set the Dromida Ominus apart from other drones is its Auto-Flip function. The Auto-Flip button allows users to flip the quadcopter with the mere push of a button. This can allow users to maneuver through stressful situations or perform stunts while in the air. The Auto-Flip feature could improve the flying experience drastically. Additionally, this drone comes with bright LEDs that make your drone visible at any time, day or night. This is one of the more unique features we’ve come across on a drone. Many users cannot fly their drones at night because they cannot see the equipment. However, with the Ominus, this is not a concern. The Ominus encourages high-flying stunts, both day and night. Another feature that could set the Ominus apart is the fact that it comes with a camera, also a first-person point of view while mid-flight. The camera is Wi-Fi enabled, which means that users can view the camera on their tablet or smartphone while in flight. With this feature, users can also control the camera, allowing them to take crystal-clear photos from a unique vantage point. The cost of the drone is about average for a beginner drone. On Amazon, the price appears to vary depending on what color a user chooses. The Ominus costs a little more than $ for the green drone and as much as $ for the white drone. Additionally, the drone comes with a Prime label. This means that those with a Prime membership will receive free shipping when ordering the product. The Ominus drone appears to rate about average, if not slightly above. The drone has a three-star rating on Amazon with more than 115 customer reviews. Of those who reviewed the product, 45 percent gave it a five-star rating. However, when browsing customer reviews, it appears that most of the concerns were about shipping methods, which could have more to do with Amazon than with Dromida. Based on customer comments online, it appears as though customers viewed the drone very favorably. 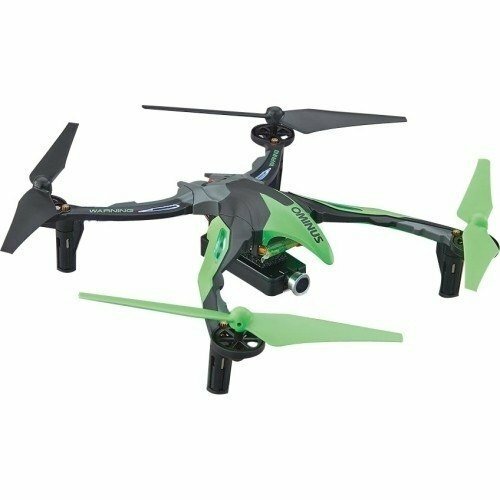 One of the most significant things that stood out was the fact that customers said they felt as though they received fantastic value when ordering this quadcopter. They noted that the machine flew quite well and that it was very durable, able to withstand numerous crashes without faltering. Additionally, many reviews indicated that this was an excellent choice for beginners. Multiple customers had never flown a drone before who remarked that this device provided them with a unique opportunity to do so. Similarly, experienced drone flyers said that they still found flying this product enjoyable and that it was genuinely suitable for pilots of all ages. The most significant complaint we saw about the Ominus was the fact that it required a Wi-Fi connection to connect with the controller. Other drones have an R/C transmitter and receiver controls, meaning you can manage the machine anytime, anywhere. With the Ominus, you must use a Wi-Fi connection, which could severely limit where you can use the drone. When it comes to drones and quadcopters, there are numerous options available. Below, we’ve selected three alternatives that we feel are similar to the Ominus from Dromida. We believe that it’s beneficial to compare the Ominus to other quadcopters so that you can get a better idea of your purchasing options and choose the best piece of equipment for you. Those interested in purchasing their first drone may be interested in this option from ARRIS. Much like the Ominus from Dromida, this machine has a camera attached to the unit so that pilots can see a first-hand aerial view of their missions. The camera performs well in either light or dark conditions, producing a high-quality 700TVL image. Additionally, users can adjust the camera angle on the device. 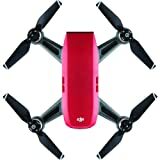 One of the unique features of this drone is the fact the remote control comes with a battery warning buzzer. Pilots can parameter-adjustment software to set the CF threshold. This allows users to locate the drone with the flip of a switch. This is a noticeable difference from the Ominus, which has a limited range because of its Wi-Fi limitations. This RC drone is fully assembled, tuned and tested before leaving the factory. Plug the battery, then it can fly. However, the most significant detriment to the ARRIS product is the fact that it is significantly more expensive than the Dromida model. The ARRIS drone is available on Amazon for a little less than $$. For beginner drone pilots, this could be a severe deterrent that prevents them from purchasing the ARRIS model. 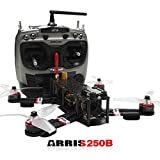 The ARRIS drone has a 4.1-star rating on Amazon with more than 20 customer reviews. Another option that customers have when searching for a new drone is the Airborne Cargo MiniDrone by Parrot. Like the other drones on our list thus far, this machine comes with an embedded VGA mini camera. The drone is also shock-resistant and durable. Like the Ominus, pilots can perform various stunts, flips, and other maneuvers without risk of breaking the device. One of the features that sets this drone apart is the fact that it contains compartments that allow users to carry small objects during their flight. Additionally, Parrot designed the base of the drone so that users can attach various items, such as blocks or mini figures. Although pilots cannot carry a tremendous amount of weight, it’s a nice bonus that the Ominus does not offer. Furthermore, Parrot designed an app that pilots can use while flying the drone. Users can download this app for use on their smartphone or tablet. Not only does the app allow pilots to perform tricks and maneuvers while in flight, but it also allows users to control the camera on their device. Both Apple and Android users can download the app for their devices. This drone is closer in price to the Ominus than other drones on our list. The Parrot drone costs just under $. While it is still more expensive than the Ominus, it’s more reasonable than some other beginner drones. This drone has an average rating on Amazon with approximately 60 customer reviews. Many users remarked that this was an excellent option for those learning to fly the machines. The last option on our list is the Spark Mini Quadcopter Drone from DJI. This unit has one of the coolest security features we have ever seen on a drone in that it comes with FaceAware. When holding the drone to your face, the machine will lift off and hover in place. Users can set the device to recognize various faces so that multiple pilots can fly the invention. DJI built a very durable product, but it may be too delicate for some users. The technology that comes on the Spark quadcopter is incredible. But some beginners may find that the tech is too much for them and that they’d prefer a more straightforward design that allows them to fly freely without worrying about crashing the device while performing aerial maneuvers. Although this drone has excellent features, it could be entirely too expensive for some customers. It costs a bit less than $550, which is the most expensive option on our list. Some beginners may balk at this price and may want to look for something more affordable. The product carries just under a four-star rating on Amazon with about 30 customer reviews. After testing the Dromida Ominus, we concluded that the drone could provide fun for users of all ages and experience levels. We found that varying the different settings allow users to come up with a flying experience that best suited their abilities. Some of the members of our team had more experience than others flying drones, but all agreed they appreciated the four-setting feature. Similarly, during the testing stage, we found that the drone came complete with a three-axis gyro as well as accelerometers. This helped keep the device stable during rocky flights or after the user attempted an overzealous stunt. If the user were to crash the device, it’s easy to put the drone back in the air to begin flying again, which we found was another tremendous benefit. Additionally, one of the other things that stood out to us the most was that it was practically impossible to destroy the machine. We found that we could flip and roll the device through the air effortlessly. But when we did happen to crash the invention, it sustained minimal damage, if any. The most work that we had to do was change the rotors on the quadcopter, which took no more than a matter of minutes. Our team was also a big fan of the camera that came on this quadcopter. We liked that we could view the video feed on our phone or tablet. Also, the drone’s controller came with an attachment that allowed us to mount our phone so that we could see the camera feed while flying. Although this feature is becoming more common, it’s nice that Dromida did not skimp on adding it. The most significant concern we had with this product was that it required Wi-Fi connection to sync with the camera. If you plan on flying the Ominus in your backyard or near buildings, this may not be a problem. But if you plan to take your drone with you outdoors, say somewhere like a hiking trail, it could be difficult to secure a secure Wi-Fi connection. In summary, we believe that the Dromida is a reliable option for those in search of a durable drone. The Ominus does not contain many bells and whistles that are going to blow you away, but it does the little things “right.” It was very durable, flies well, performs basic stunts, and comes with multiple settings that fit every pilot’s capabilities. We would love to hear your thoughts as well! If you have experience flying the Ominus from Dromida, we invite you to share your opinions in the comment section below. We value our community of readers and would appreciate your input. We feel that together, with our readers, we can come up with a list of the top drones and quadcopters available.